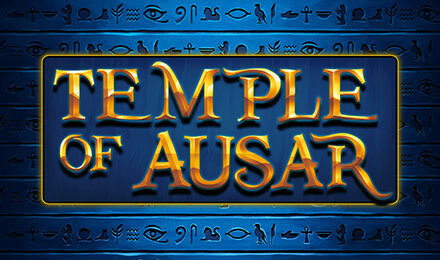 Packed with 5 reels and 25 paylines, Temple of Ausar slots has a lot of winnings for you. Play now and you can win free spins with multipliers. Get ready to travel into the sandstorms on Temple of Ausar slots. Created by Eyecon, this slot game is loaded with 5 reels and 25 paylines. The background of this game will take you into Egypt where the god Ausar will warmly welcome you. He brings to you some interesting features which you can trigger with any bets varying from £0.01 to £12.50. Ausar will be your King on this game as he awards the top wins of 9,500 coins. Keep playing and get the chance to grab some free spins where the prizes are tripled.